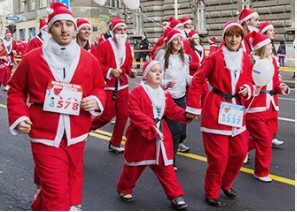 Keep in shape and in holiday-spirit this Christmas and participate in a 7k charity run in a full santa costume along with 100 others! Whether you run, walk or jog, everyone will finish together and celebrate in an after party event – all for a good cause! Must register online. ¥3,500 General Admission, ¥2,160 for Highschool students, ¥1,080 for Elementary & Middle school students.